With our Thermoclear device, we are able to quickly and easily treat many skin conditions. 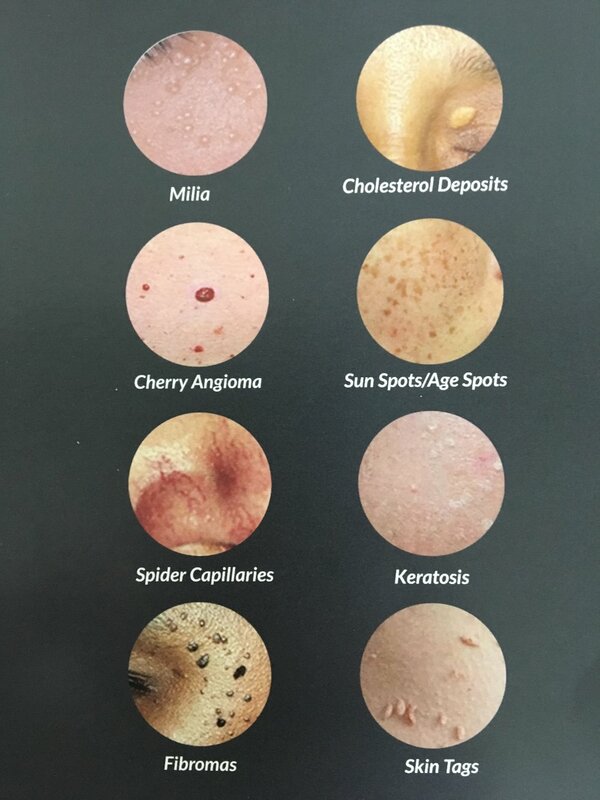 Sun Spots, Milia, Cherry Angiomas, Broken Spider Capillaries, Keratosis, Cholesterol Deposits, Skin Tags and more! The advantage of using the Thermoclear is that there is no down time and minimal scabbing. We only treat the top layer of the skin (epidermis) leaving the lower layer (dermis) unaffected. IPL/lasers usually penetrate both the epidermal and dermal layers of the skin, which can cause temporary or permanent damage to your skin. Pricing varies depending on how many spots we are treating.